Great building lots are ready to go! Fully serviced with design concepts available. Price includes new build to buyers specifications and GST - price is negotiable, depending on final design plan. Near transit, elementary (Bridge) and secondary (McRoberts) schools and Broadmoor shopping centre. Build up to 3275 sq ft (price is based on 2400 sq ft) and the lot next door (8233 Ryan Rd) is also for sale so buy one or both. Price break if bought together. Seller will finance eligible builder. 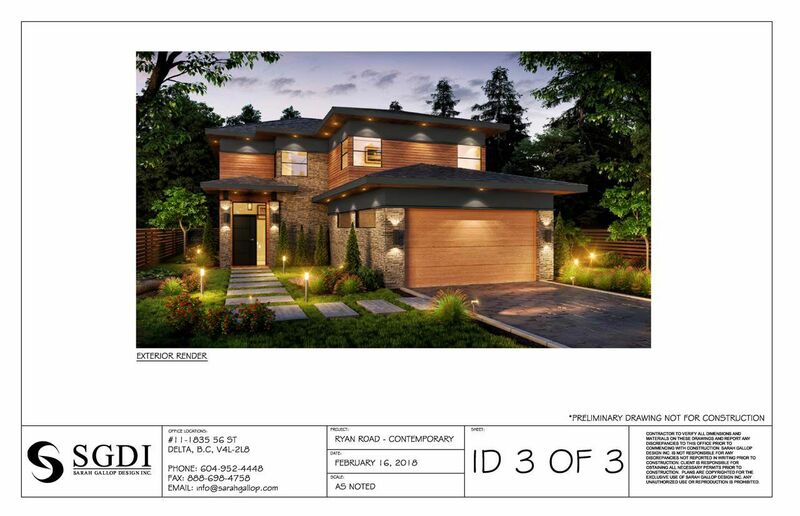 See concept designs or call the listing Realtor for details.